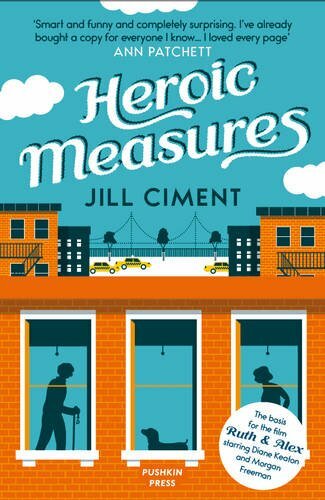 An elderly couple selling their New York apartment while worrying about their sick dog might not sound like the right ingredients for a compelling novel but in Jill Ciment’s hands something magical happens. She takes these unpromising elements and fashions them into a beautiful, warm tale of love and loyalty. Ruth and Alex Cohen have lived happily in their fifth floor, New York apartment for 45 years. Alex is an artist and Ruth is a retired school teacher and their daily routines centre on their adored dachshund, Dorothy. The elderly couple are finding the stairs to their apartment becoming increasingly difficult and a realtor tells them they could expect to get one million dollars if they sold up. The thought of moving to a building with an elevator is tempting and so they let the realtor arrange an open viewing day. However, the night before, Dorothy falls ill and the Cohens rush her through a gridlocked city to the animal hospital. Throughout the next day they worry about their dog while trying to navigate their way through the New York property market. Ciment’s characters are finely drawn, full of the small details and eccentricities that make each person unique. This includes Dorothy, whose frightened thoughts tug at the heart strings, but thankfully Ciment is too clever to anthropomorphize the little dachshund too much. The pet is the physical representation of the deep love the couple have for each other, a love that has matured into comfortable silences and care for their dog. New York and the crazy property market are laid bare as the Cohens host an open house which attracts a number of quirky characters. They also view properties themselves, hoping to find a decent apartment in the area with that much-needed elevator. As the Cohens bid on a property and receive bids for their own, the pace picks up and becomes an edge-of-the-seat thriller. Will the Cohens receive a high enough bid to pay for the apartment they desperately want? Every time the phone rings the couple are on tenterhooks. Will it be a new bid or the doctor reporting Dorothy’s progress at the hospital? The story takes place over one weekend and the tight timescale adds to the tension, as does a suspected terrorist attack that leaves New Yorkers edgy and suspicious. The Cohens’ realtor gives them updates on how the hunt for a terrorist affects the price of property and Ruth is disgusted to find herself caught up in the frenzy of speculation. Ciment skilfully brings all the threads of the story together into a satisfying ending, one that remains true to her characters. 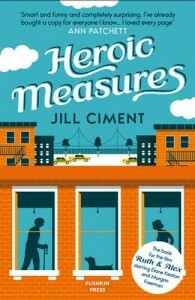 While the story is an affectionate portrait of a New York couple, Ciment steers clear of sentimentality and schmaltz. A weekend with the Cohens and their little dog is time very well spent.